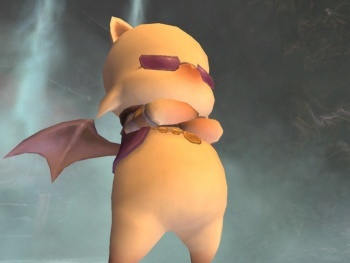 Members of the Final Fantasy XI community have raised complaints after rule-abiding subscribers were apparently banned for engaging in the most heinous of in-game crimes: gardening. A thread on the Allakhazam forums raised a red flag for members of the community, when one FFXI player found he was unable to log on. Upon contacting a representative, he found that his account had been banned for engaging in RMT activities - selling in-game money and objects for real-world cash. The only problem was that the player hadn't been doing any such thing. The poster - and other FFXI members who also found themselves banned - had apparently fallen prey to automated tools developed for Square-Enix's Special Task Force (STF) to help them catch gold farmers and gold sellers. Gardening is used by many players in Final Fantasy XI to help earn money, since it is a profession with no level or skill requirement; the only limitation is that each individual character may only have ten flower pots at once. To circumvent this, players would have alternate low-level characters (or "mules") with whom they would garden, sell the grown plants to NPCs for profit, and then forward all the money on to their main character. This cash flow apparently set off red flags in the automated STF tools, labeling gardening enthusiasts as potential gold farmers, and banning them accordingly. Most of the bans will probably be overturned - if not, then there are more serious problems at play than automated software - but let this be a lesson to Square-Enix and other MMOG operators: Automated tools aren't always perfect. If they were perfect, then they would have already evolved into SkyNet and enslaved us all.